Welcome to Markwell Windows & Conservatories. We are a local family business based in Bishops Stortford and cover all of the Hertfordshire and Essex areas. We have been installing and supplying windows, doors and conservatories for over 20 years now and pride ourselves of offering outstanding service and top quality workmanship to all of our customers. All jobs with Markwell are managed from start to finish with our team. We have worked on all types of properties from listed buildings to new builds in and around the Hertfordshire and Essex areas, with no job being too big or too small. We will work with you to make sure you get the right style and material for your property and also making sure it fits within your budget. We have an extensive choice of products for you to choose from, as having the right window, door or conservatory for your home or business will not only compliment it but it will also improve the overall look as well as keeping you warm and secure all year round. Good quality workmanship and stylish products will last the test of time. All of our conservatories are individually designed for each customer. 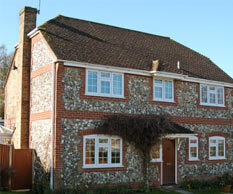 We can create any shape and size to fit your property, and will undertake all the building works from start to finish. We offer a range of roofing ideas, from solar reflective glass to poly-carbonate roofs. 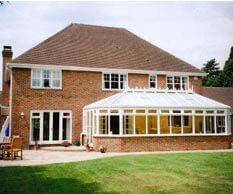 All conservatories are designed with the expert help and advice from our conservatory designer. We can also add a patio to compliment your new conservatory. We have a showroom in Bishops Stortford, Hertfordshire which you are very welcome to visit and have a chat with one of our team. 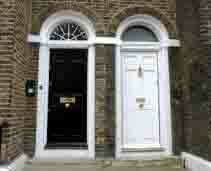 Alternatively simply call the number at the top of the page and we will be happy to discuss your requirements. At Markwell we have very simple set of principles which sets us apart from the competition. The price we quote is the price you pay – there are no hidden charges or extras – ever! You can be assured of the absolute best quality product – built to last, guaranteed for 10 years. When you get a quote from us, we promise not to chase you or hassle you. We leave you alone to make the right decision. All of our installers are employed by us, meaning the quality of installation is second to none. We make sure you get the best possible price right from the start. If you want to deal with a local, respected company then call us, and we will happily discuss the many options that are available.